What Predators Eat Bald Eagles? There are very few animals that can prey on bald eagles, mainly due to the bald eagle’s large size and their own predatory prowess. However, some animals, such as squirrels, raccoons, ravens and great horned owls, will attack nests and feed on eggs or nestlings. 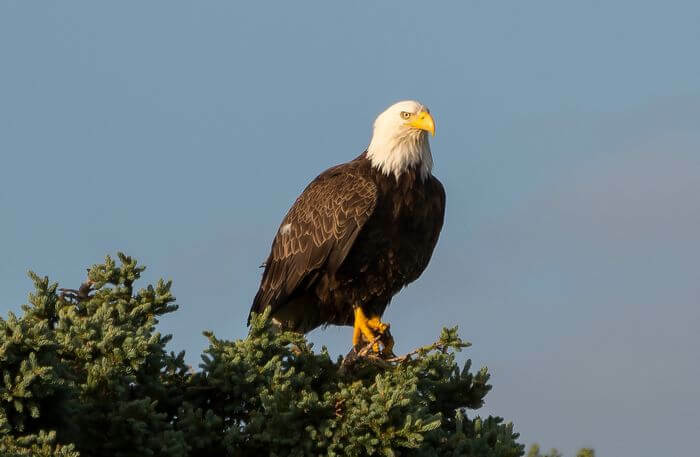 Another possible threat to bald eagles is parasites, such as bow flies, which can infect an eagle’s nest and weaken or even kill a young eagle. One way that bald eagles prevent parasites is by placing sprigs of trees in the nest, allowing the odor to deter any possible parasites. Of course, another serious threat to the bald eagle species has been humans, who have been known to kill eagles in order to protect farm land and livestock. Human use of pesticides has also weakened the species.